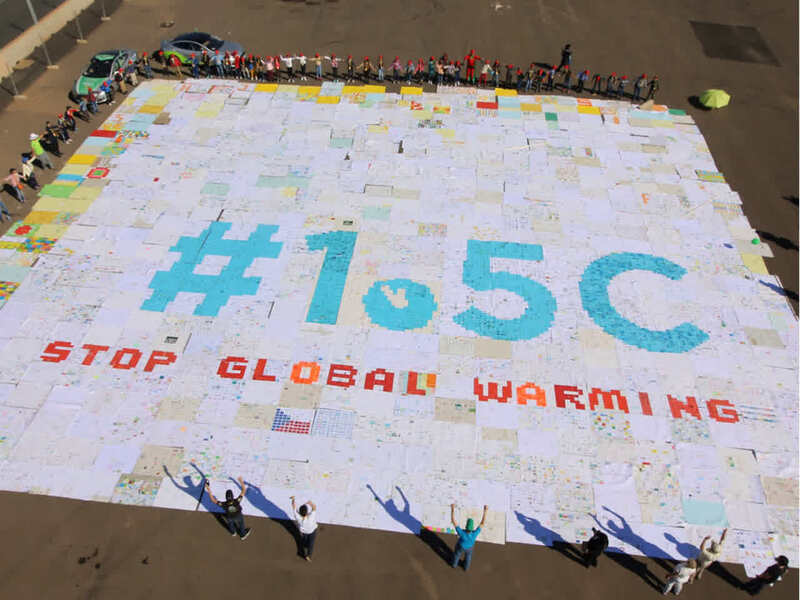 The idea: We, i.e. 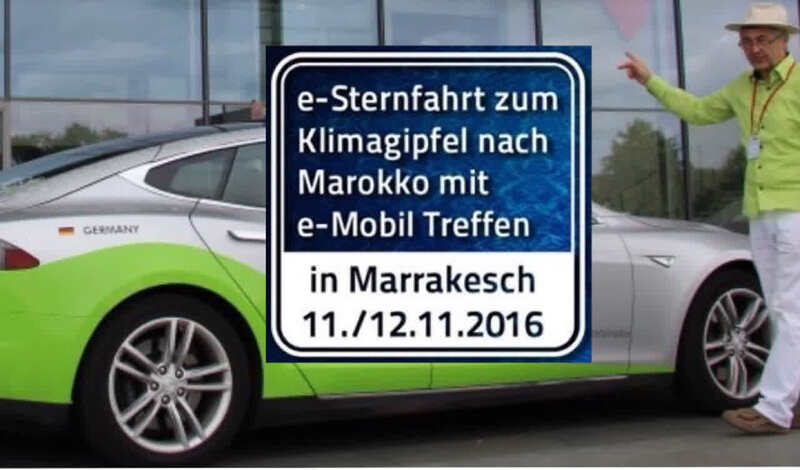 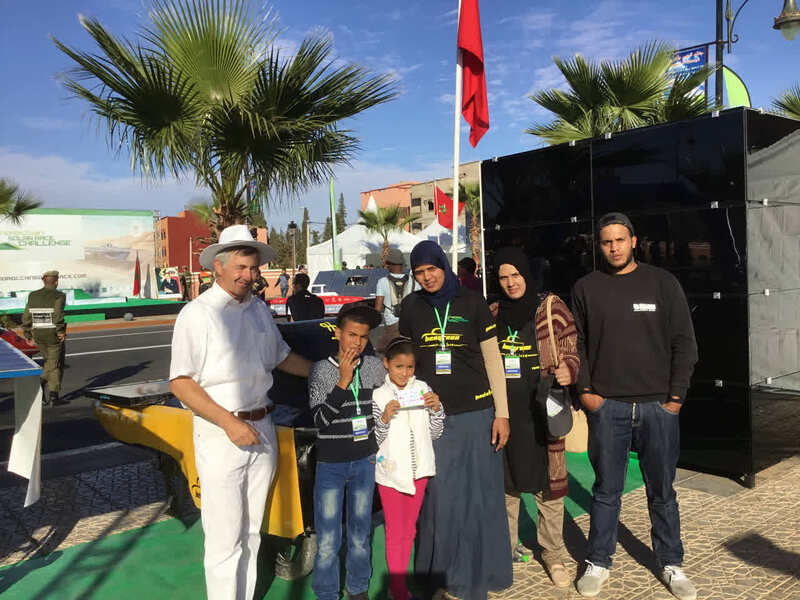 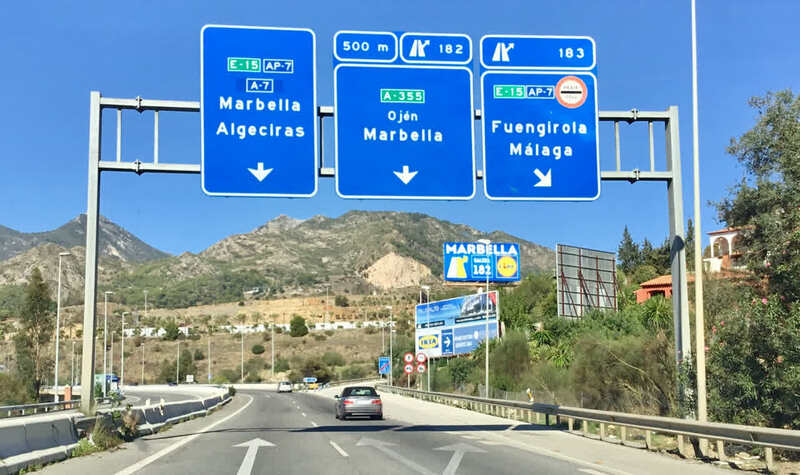 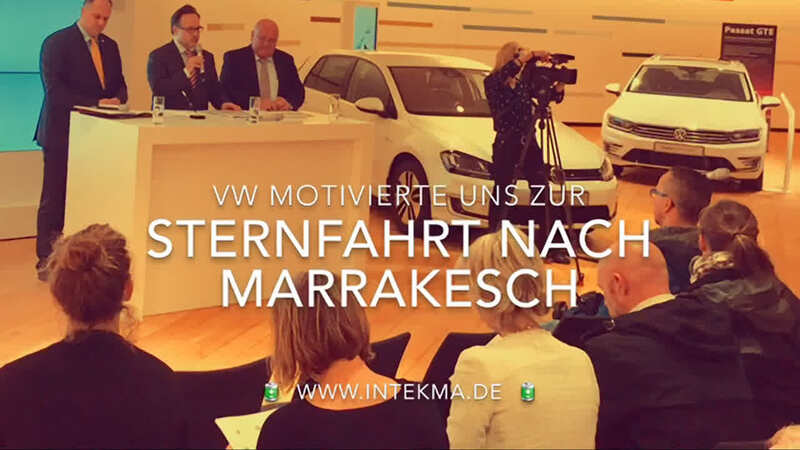 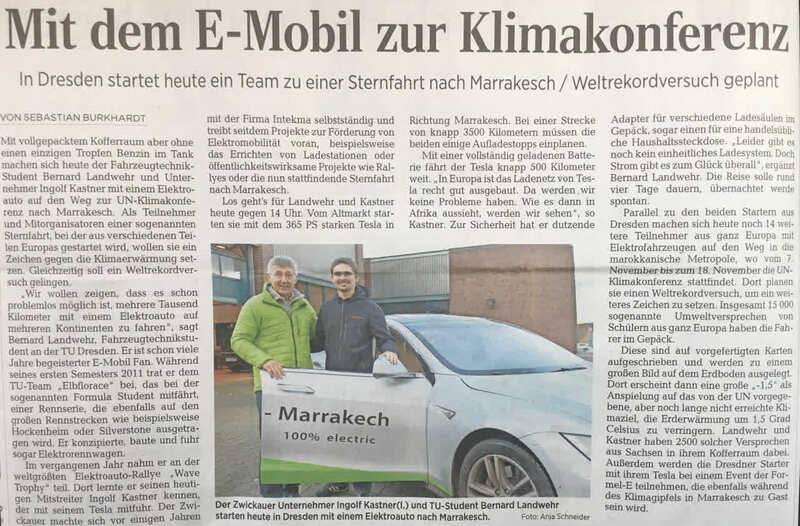 automotive student Bernard and initiator Ingolf, drove out purely electrically from Berlin to the UN climate change conference to Marrakech. 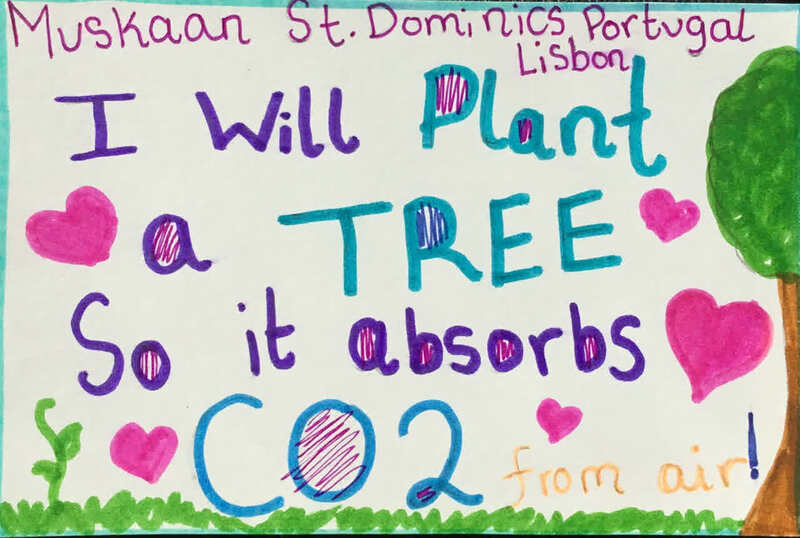 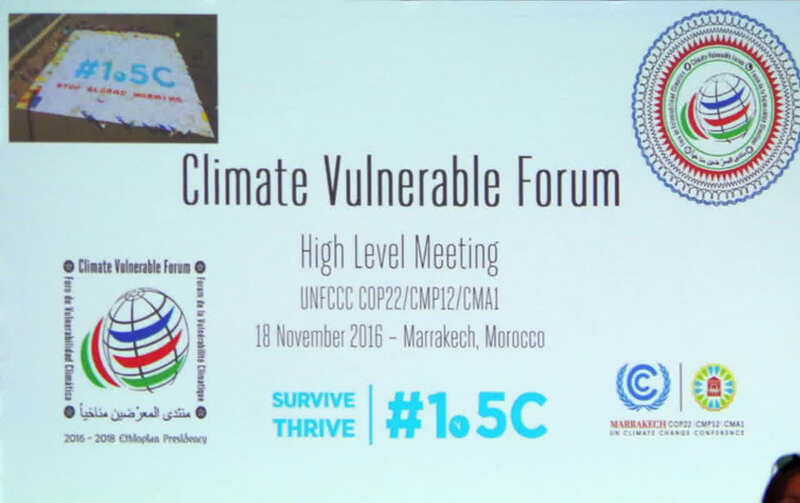 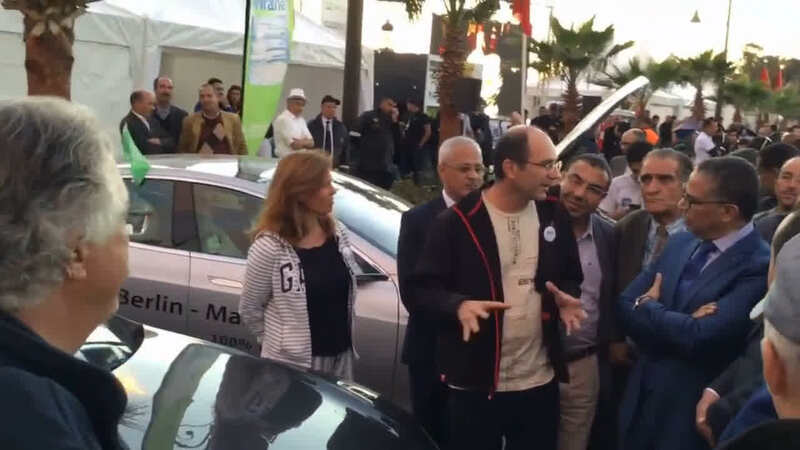 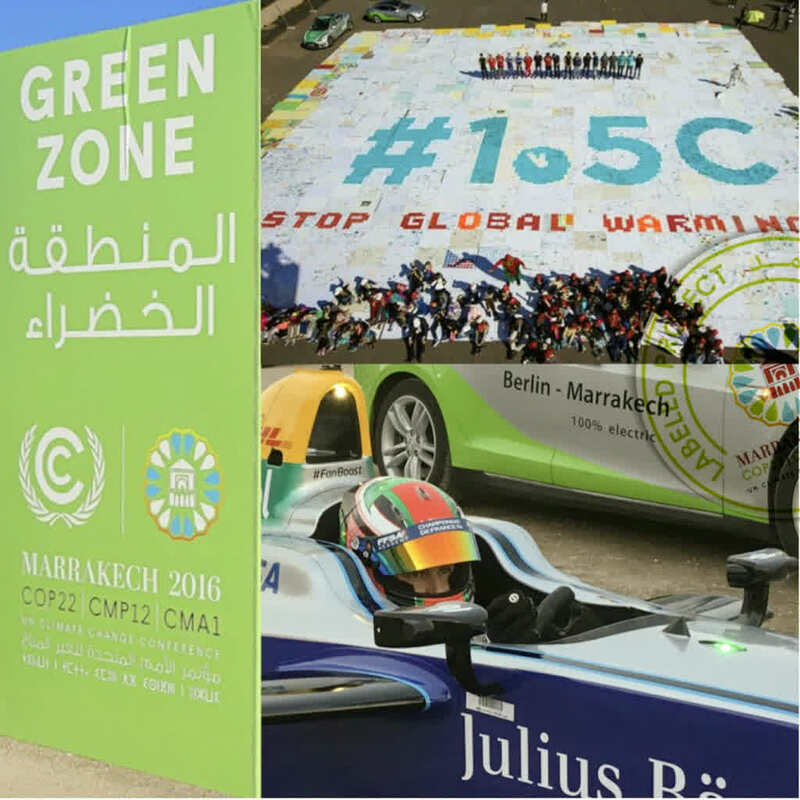 Together with climate ambassadors, E-drivers and supporters from Portugal, Spain, France, Switzerland and Morocco, we wanted to actively put a stand against global warming. 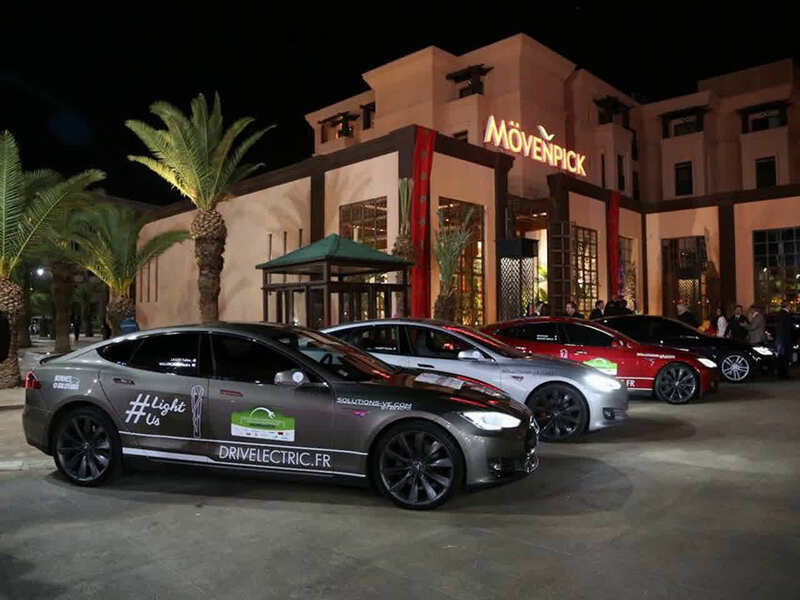 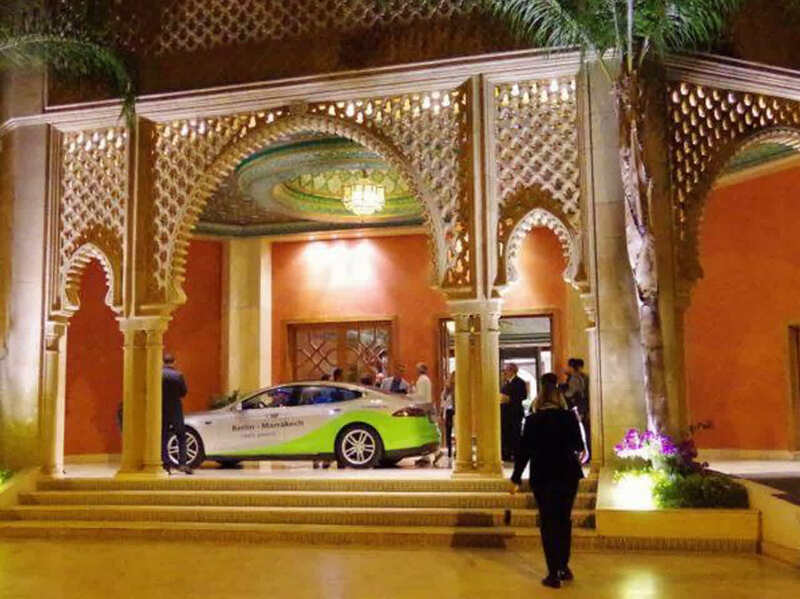 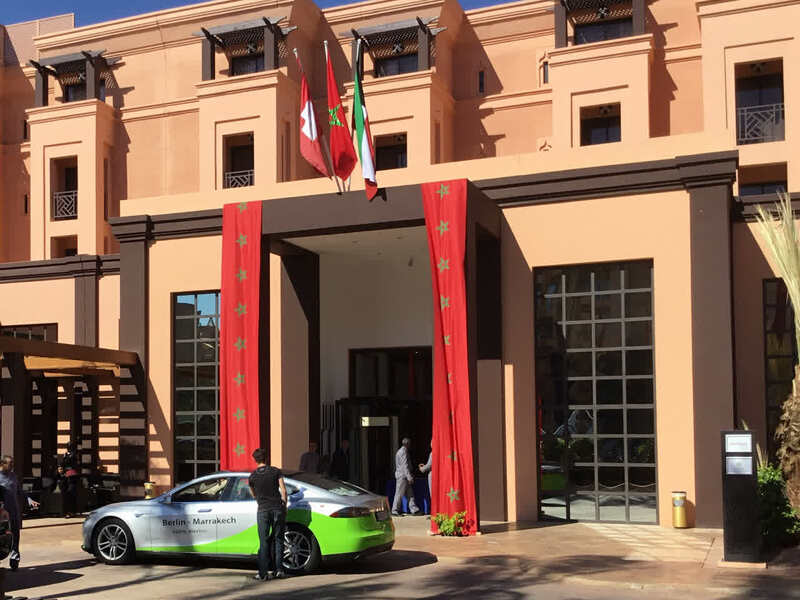 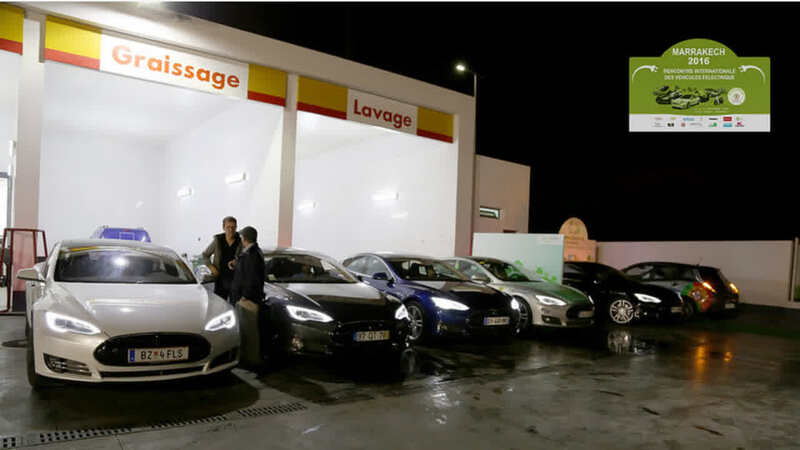 Achieved targets: Success of the WAVE climate card action, initial spark for an E-charging network in Morocco, inspired strategy for Tesla Club Morocco, Destinatination charger for participating hotels, supports solar race challange, comming soon next year RIVE Marok (Rencontre International of Véhicules électriques au Maroc). 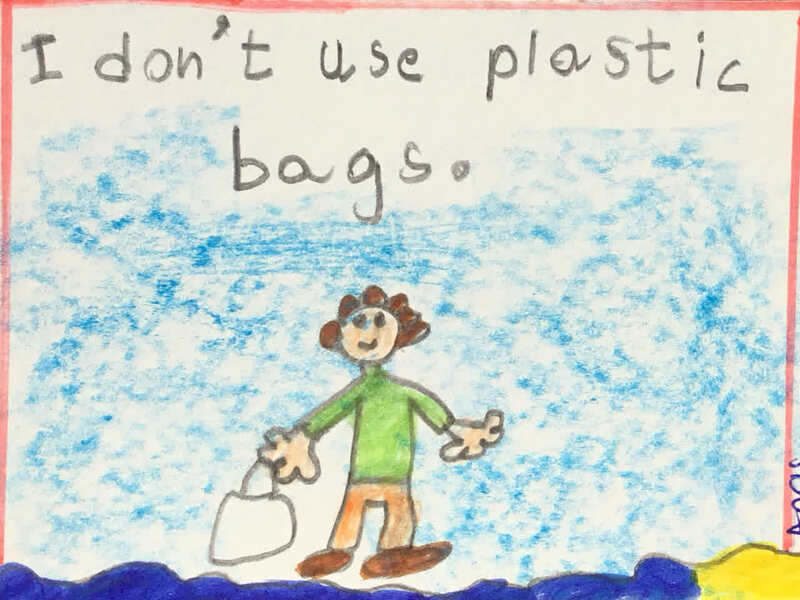 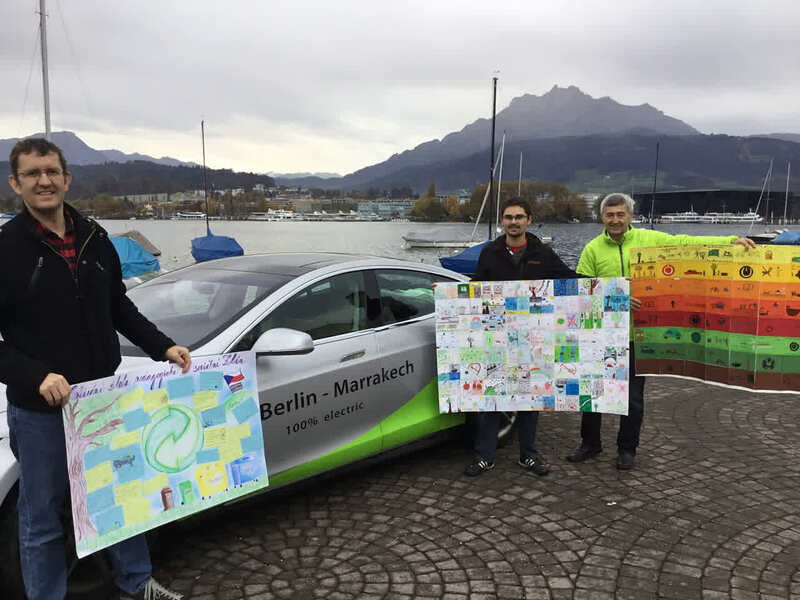 Aktion: www.wave.earth Also we had thousands environmental pledge by students from all over Europe in the luggage. 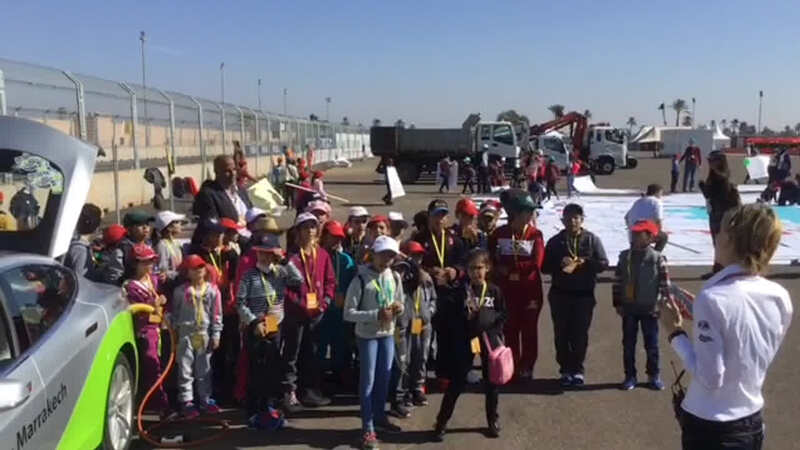 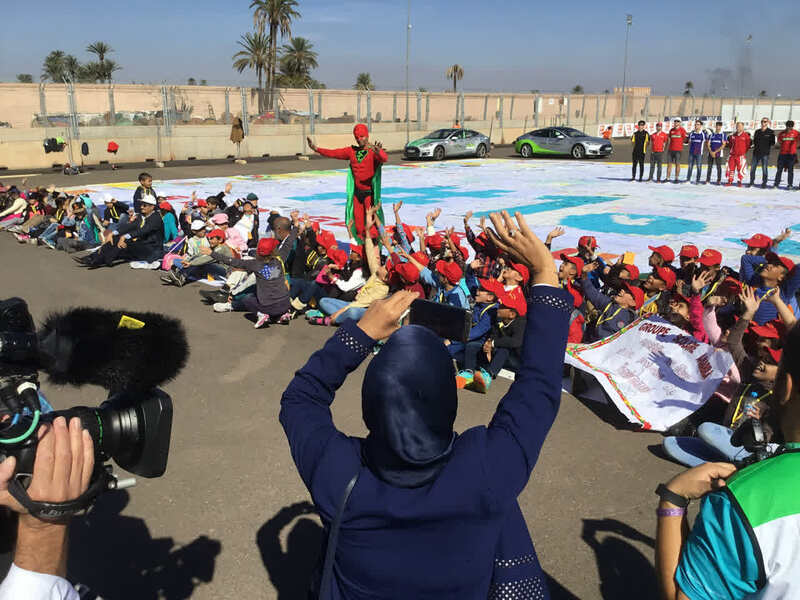 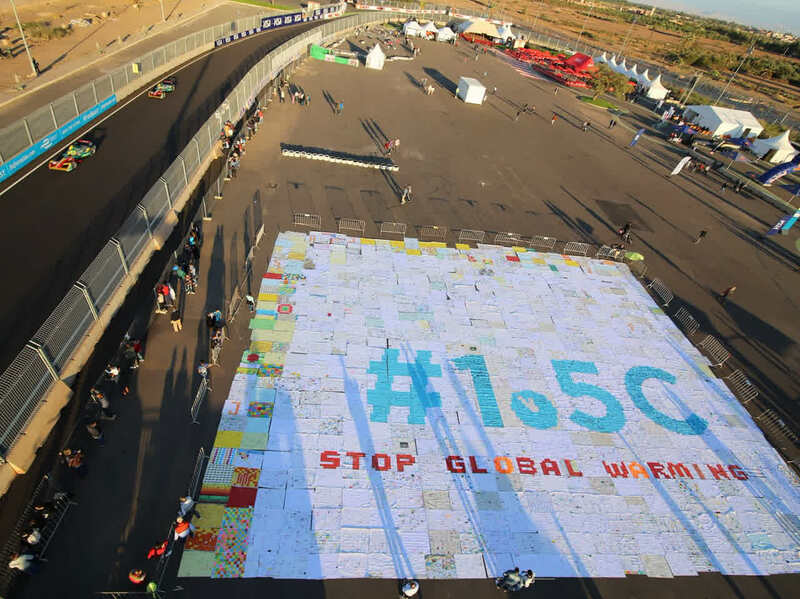 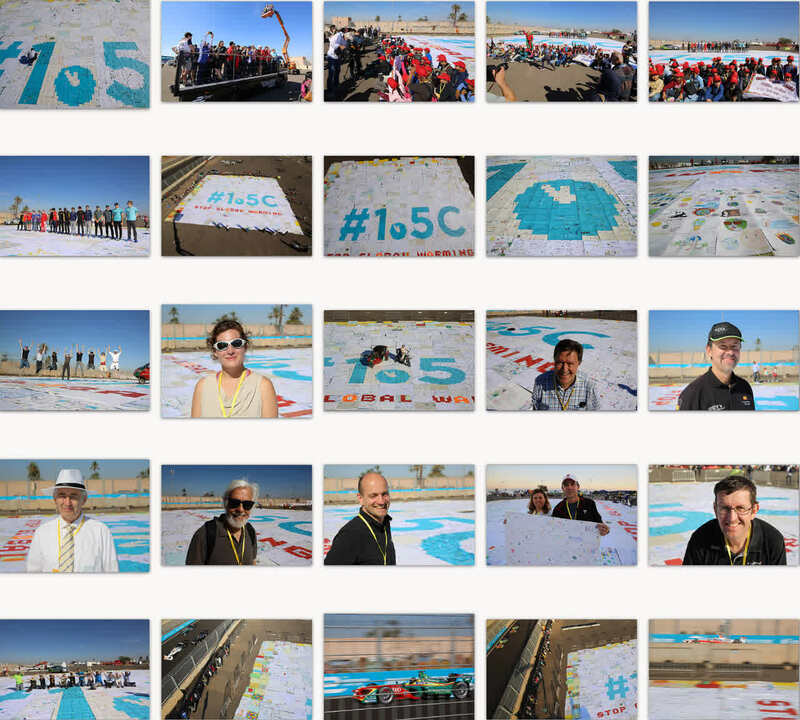 We have successfully set up the big card mosaic at the UN World Climate Change Conference, together with the the electric car race of FIA formula E in Marrakesh, Morocco. 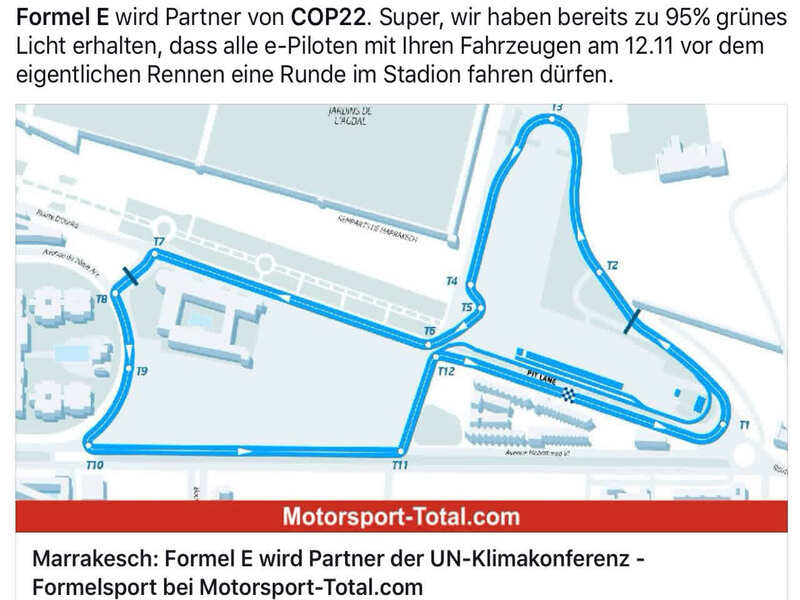 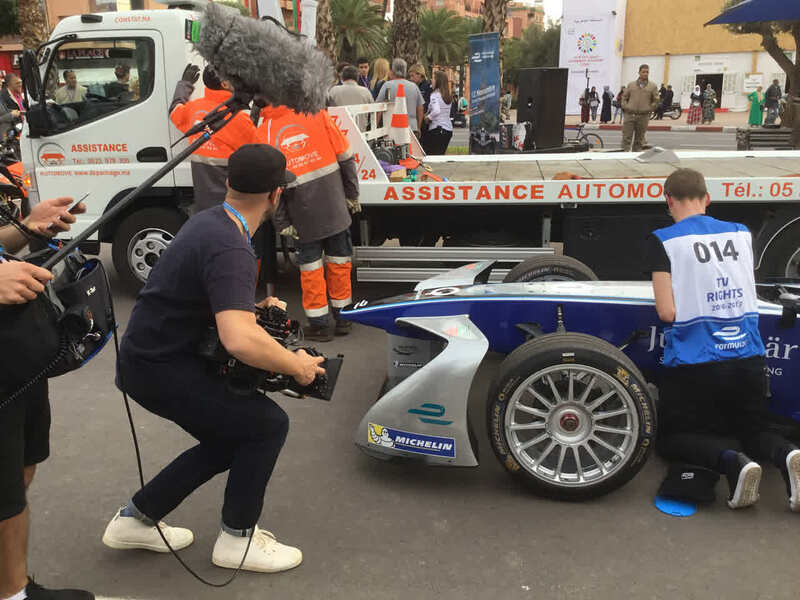 "official video of the WAVE EARTH - 3 minutes"
More event’s: Joint PR action with the formula E => 360 degree video, an electric tour around the city, Cocktail party at the Mövenpick Hotel, as well as press and TV interviews. 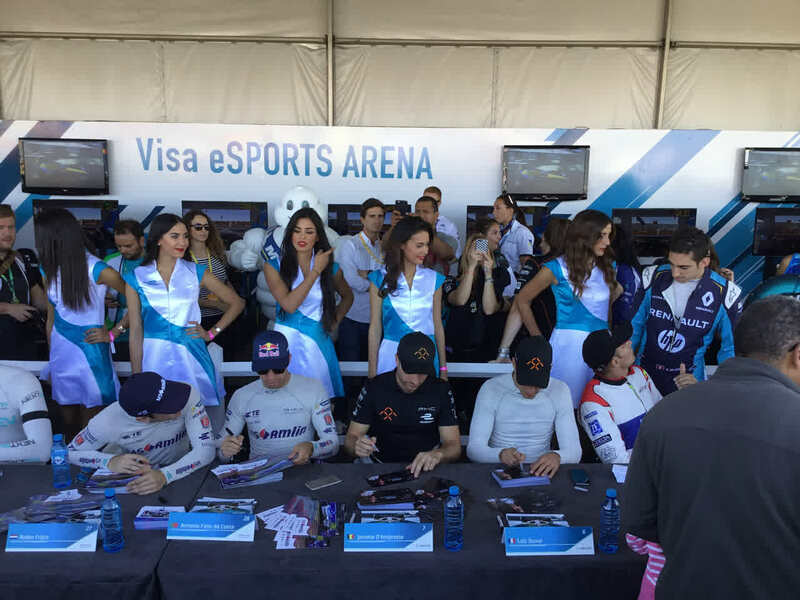 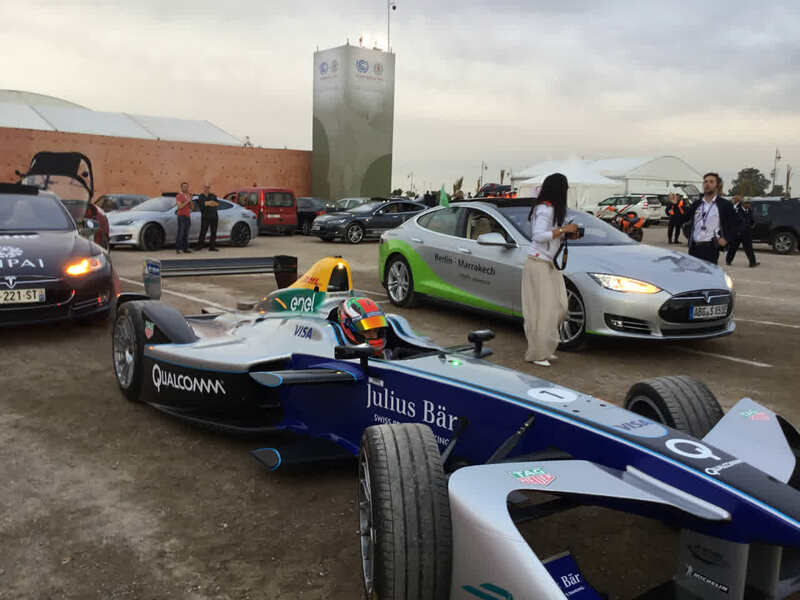 Viewed formula-E racing. 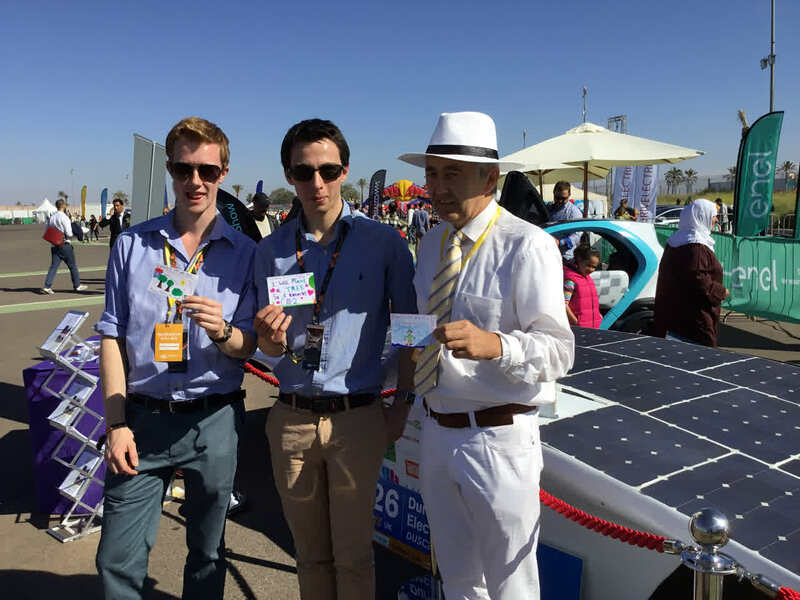 Many interesting contacts and suggestions found. 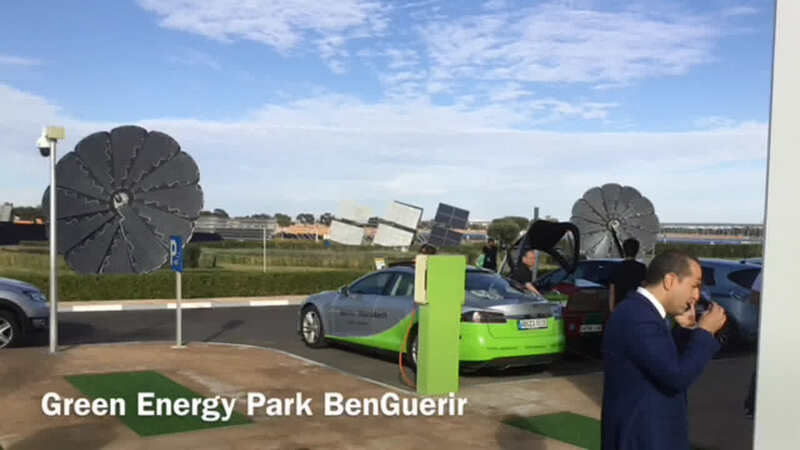 Solar Race Challange: With a very professionally organised solar range challange, the Institute IRESEN www.iresen.org in Benguerir makes pioneering work. 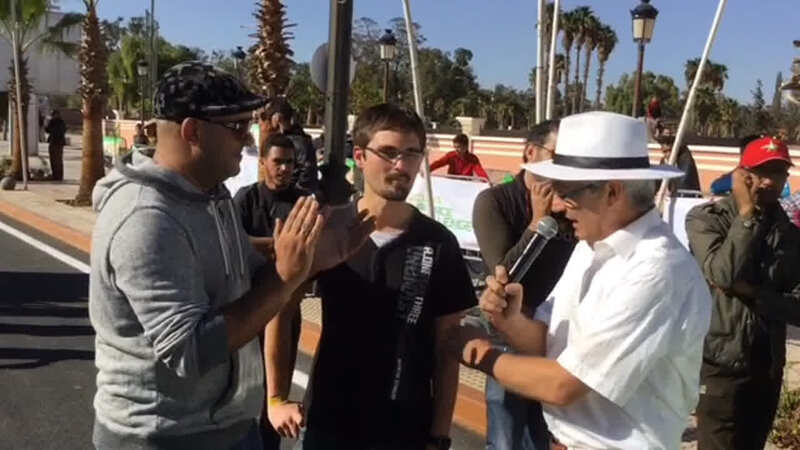 Bravo IRESEN, this was a great event. 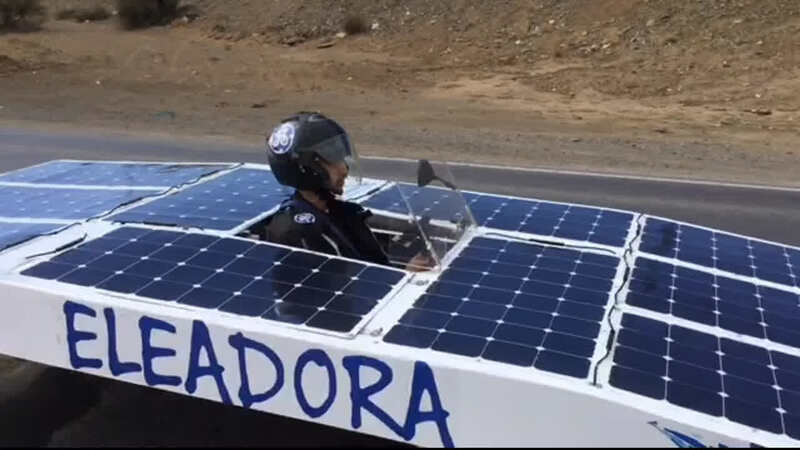 C’était un merveilleux solar race challange. 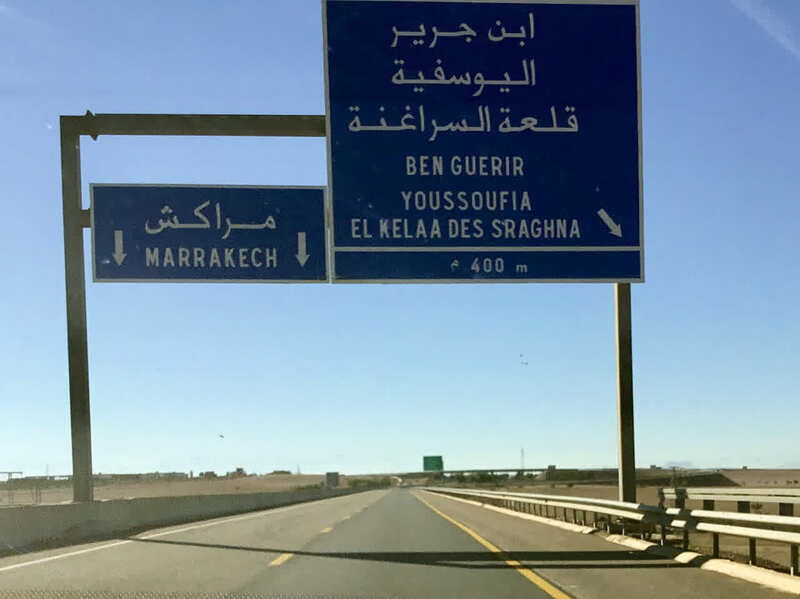 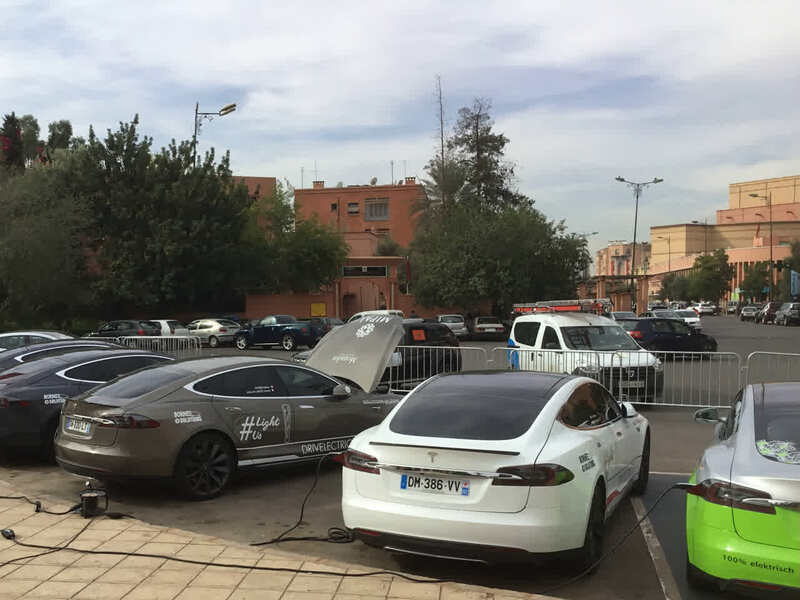 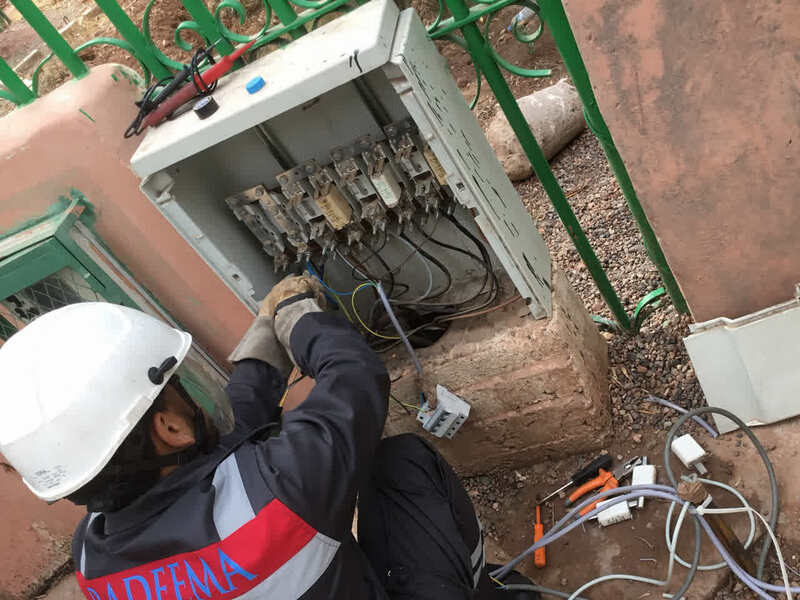 We have supported the organizers with support across the range of Marrakech to Benguerier, Badr Ikken (Direkteur General) and exchanged experiences to its employees, made many test trials. 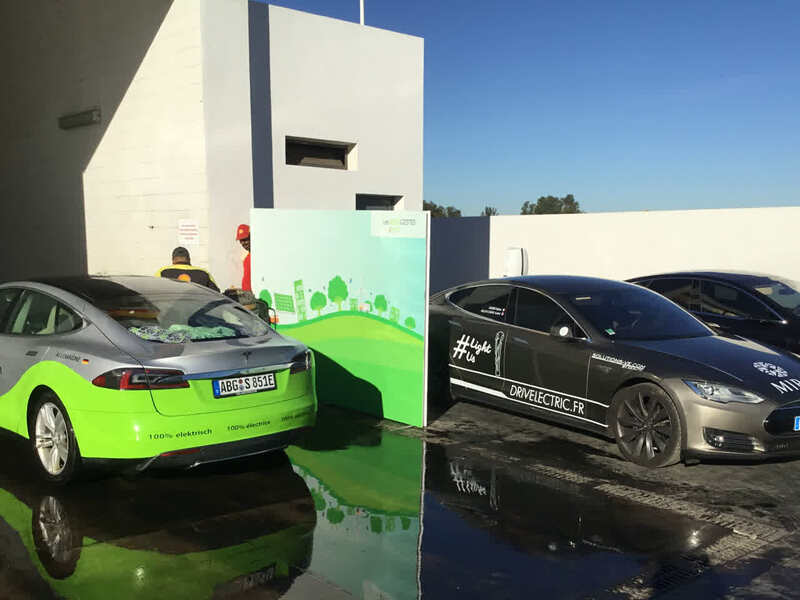 Could broadly explain the possibilities of E-mobility and introduce a Twike, two Tesla model S and a Nissan leaf from Portugal to local politicians. 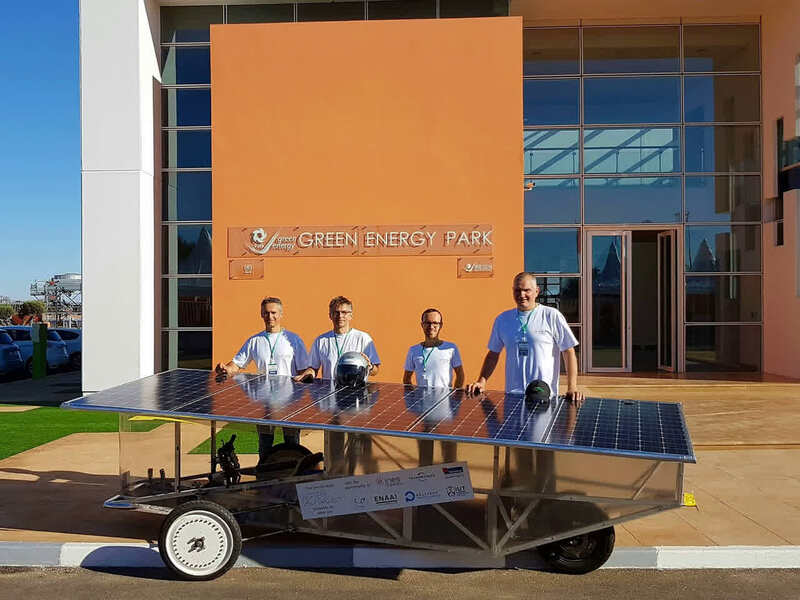 Very interesting also the solar vehicle by www.greenshopenergy.com with fold-out solar panels (per day up to 8 kWh) and built-in cooling fans. 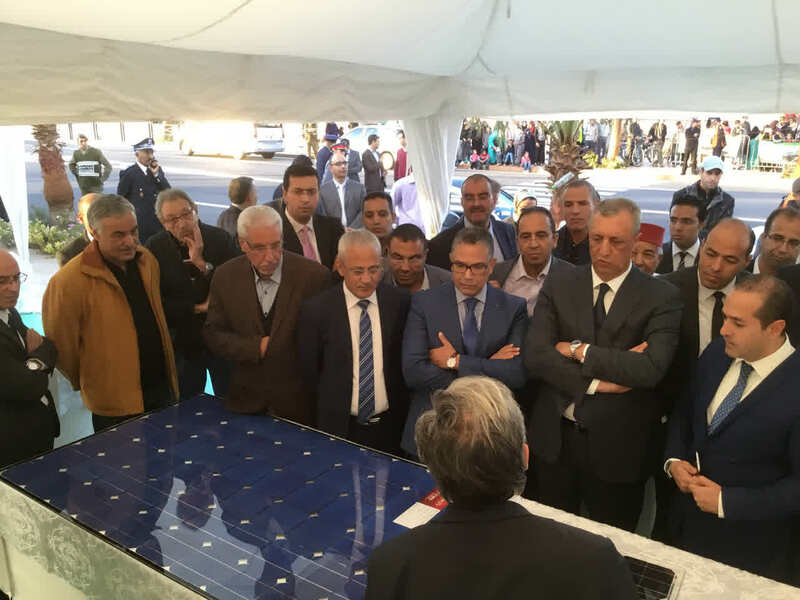 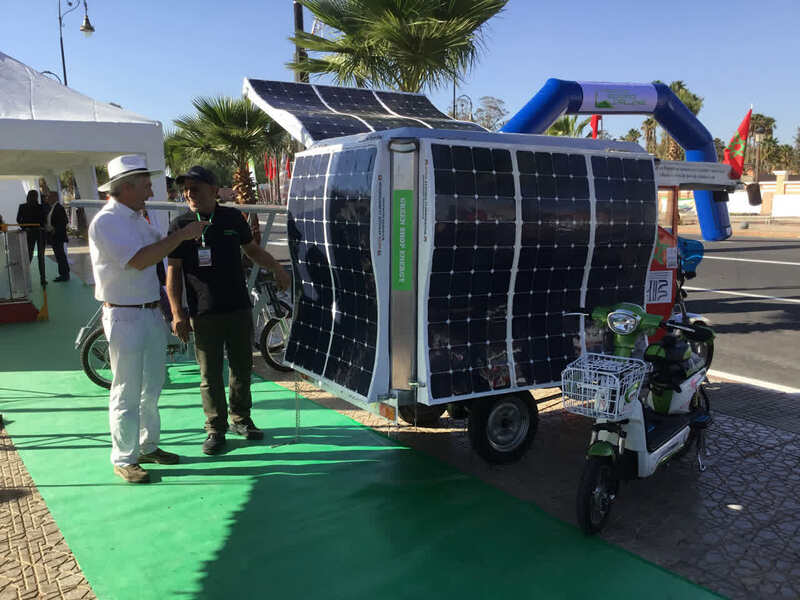 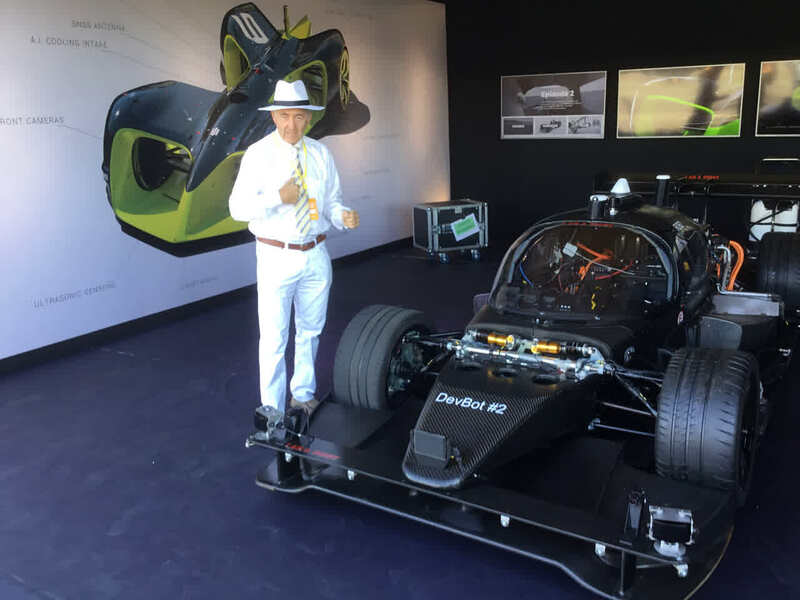 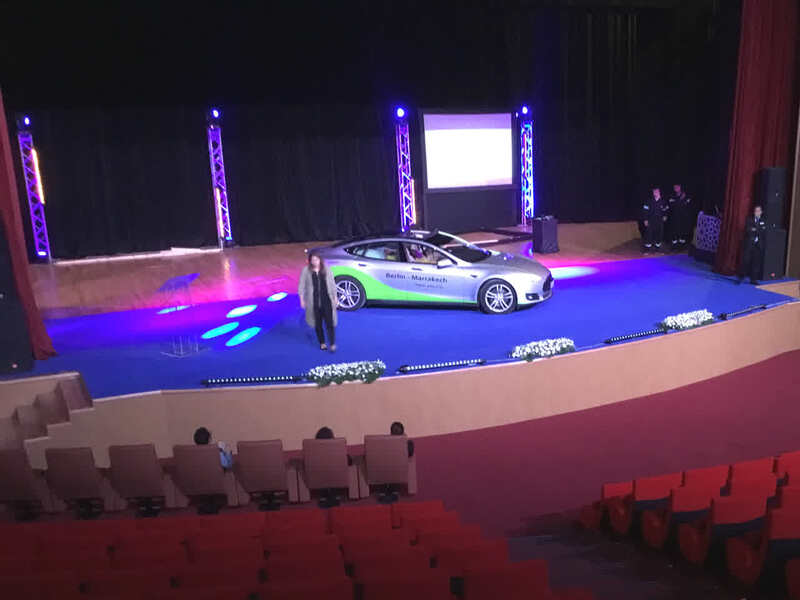 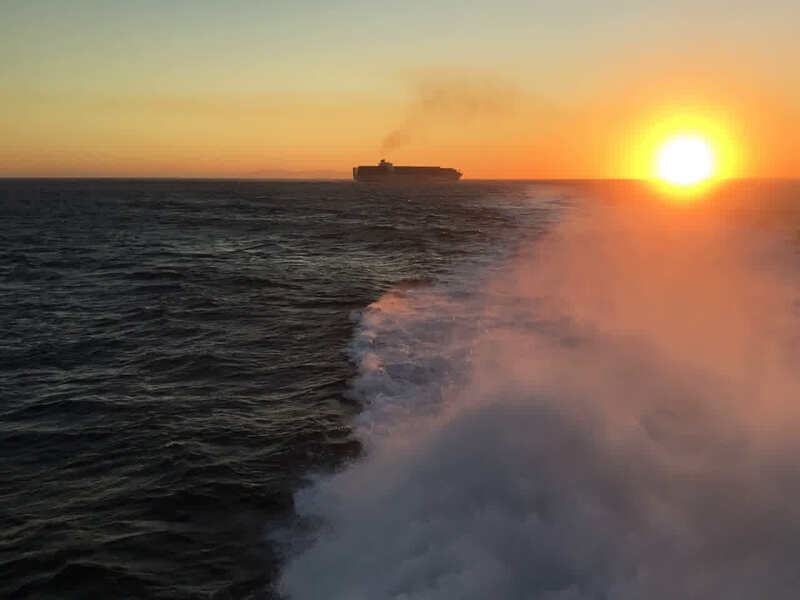 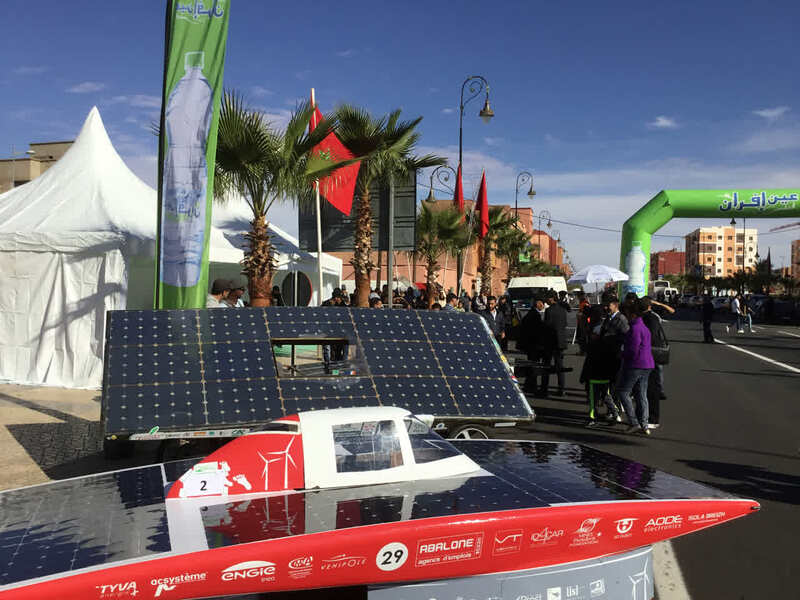 What also impressed me was the large number of solar vehicles and the pioneering spirit of the participating teams, as well as the conceptual timeline for establishing more projects. 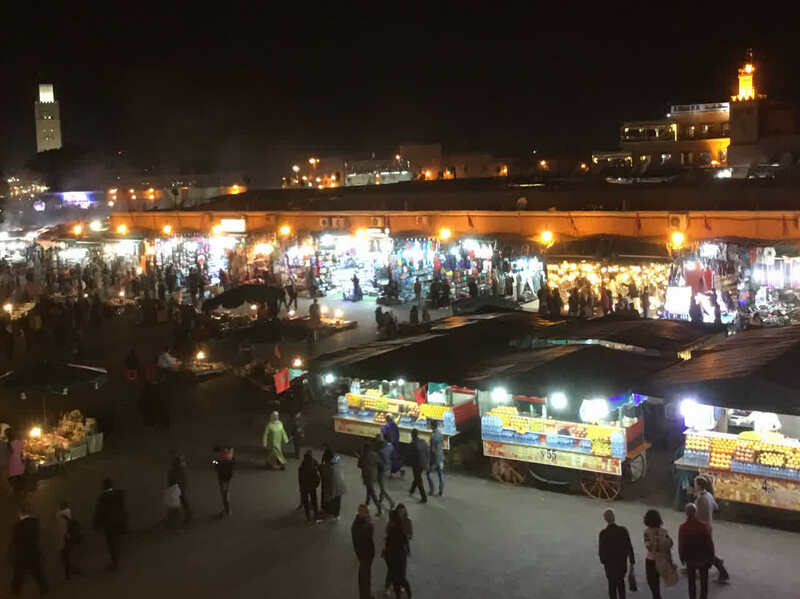 Au revoir Marrakech: The old town called Medina at night was wonderful. 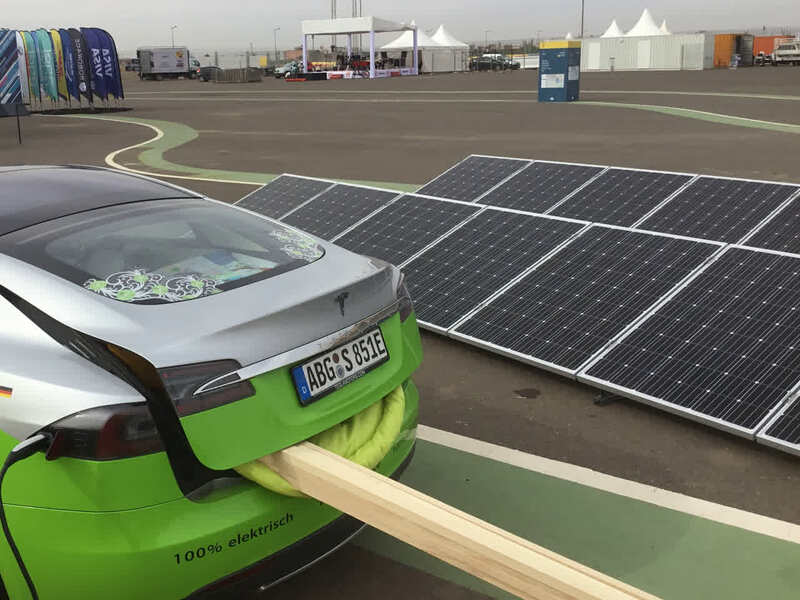 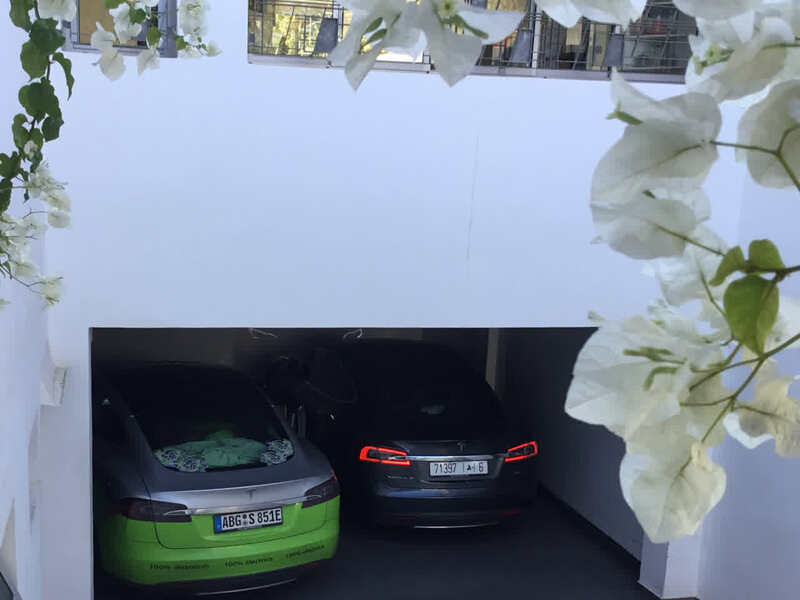 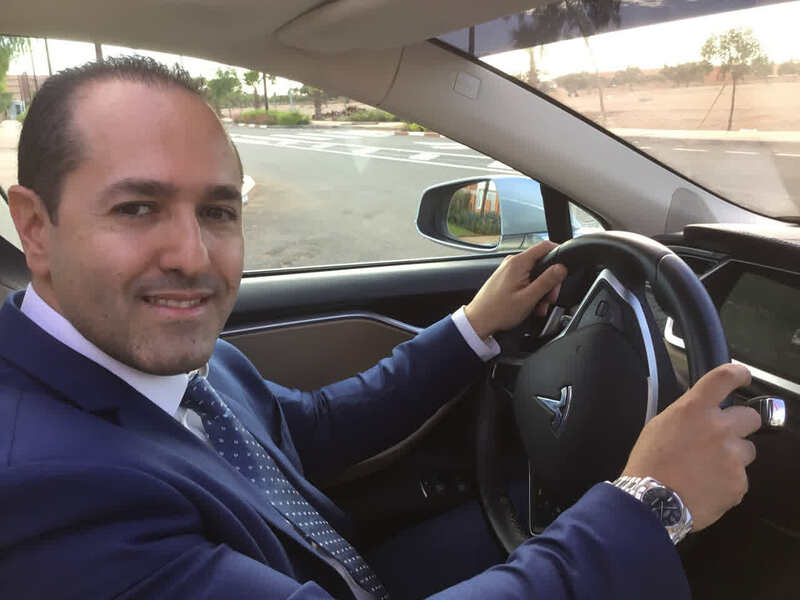 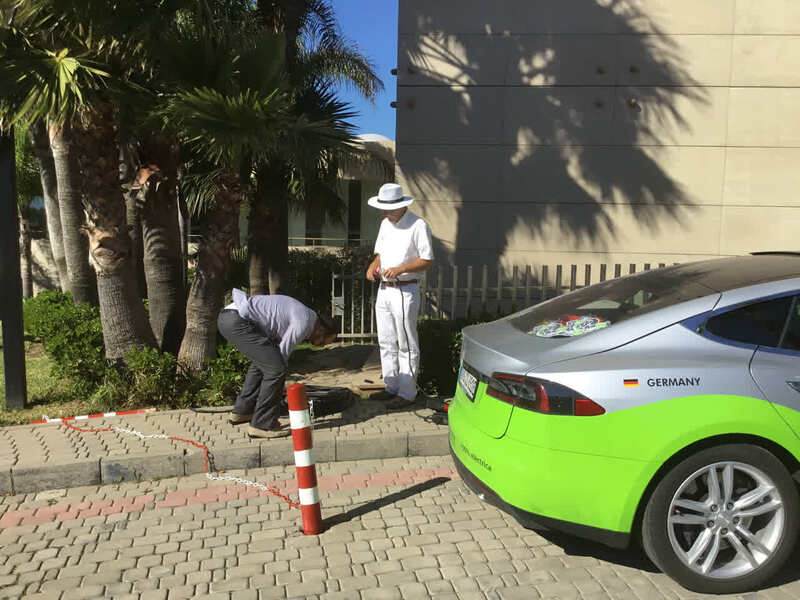 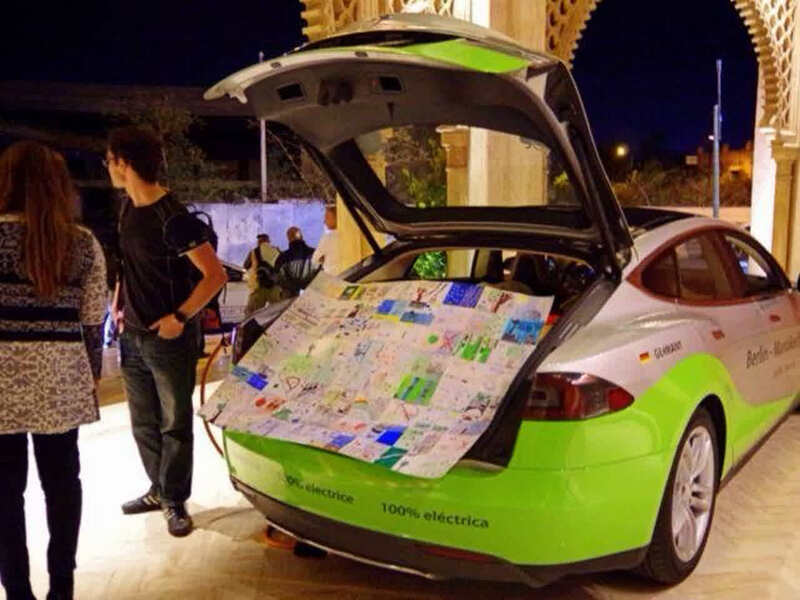 This Green Tesla back in Europe to spread the word that the road is and will be even better paved electric terminals, paving the way for a new dimension of tourism in electric vehicle. 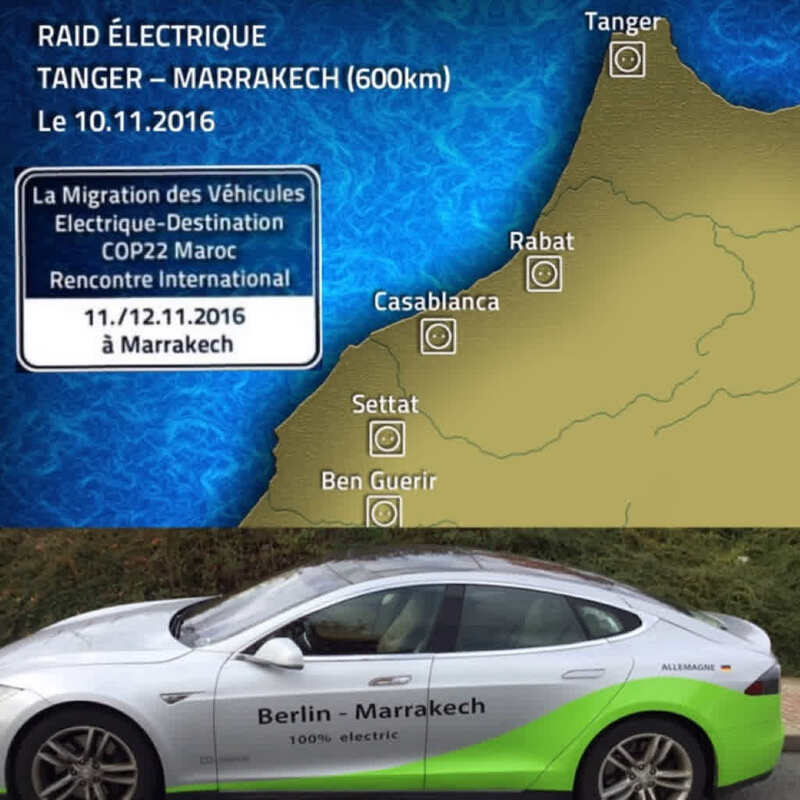 It was very easy to go over 9000 km with the model S to Africa. 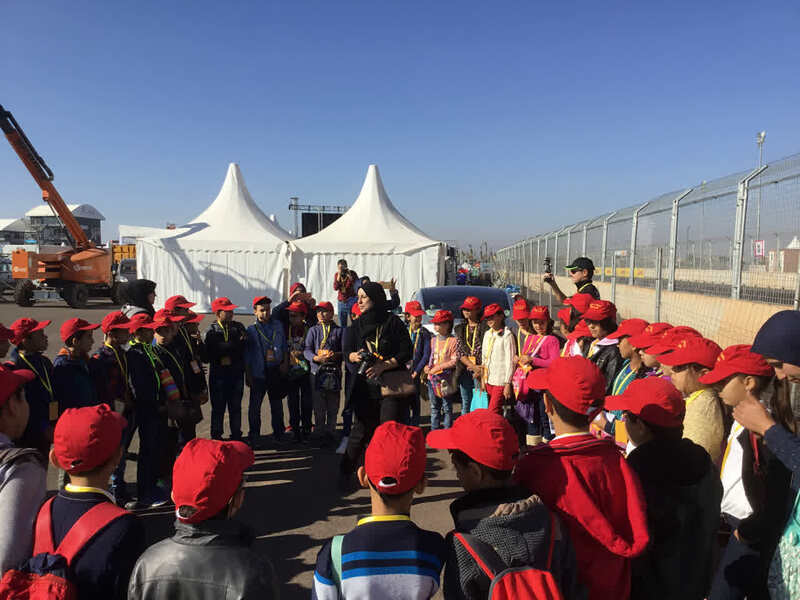 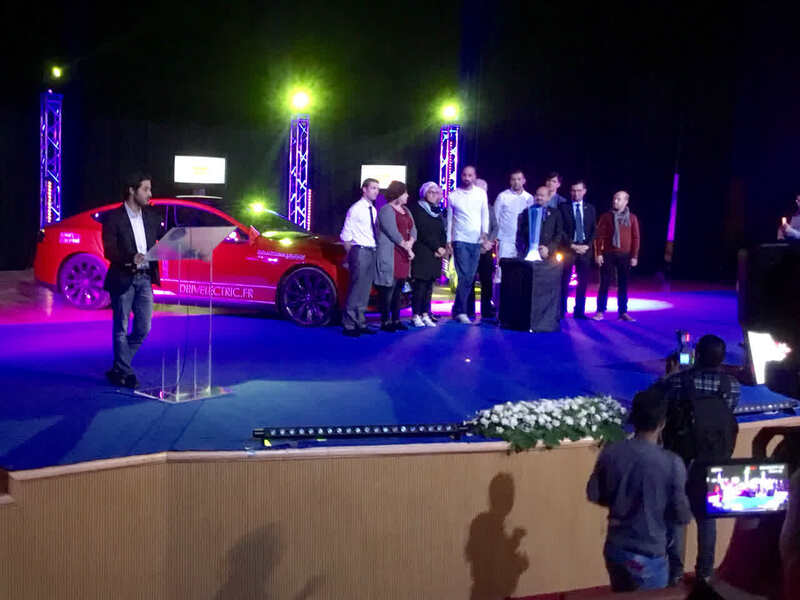 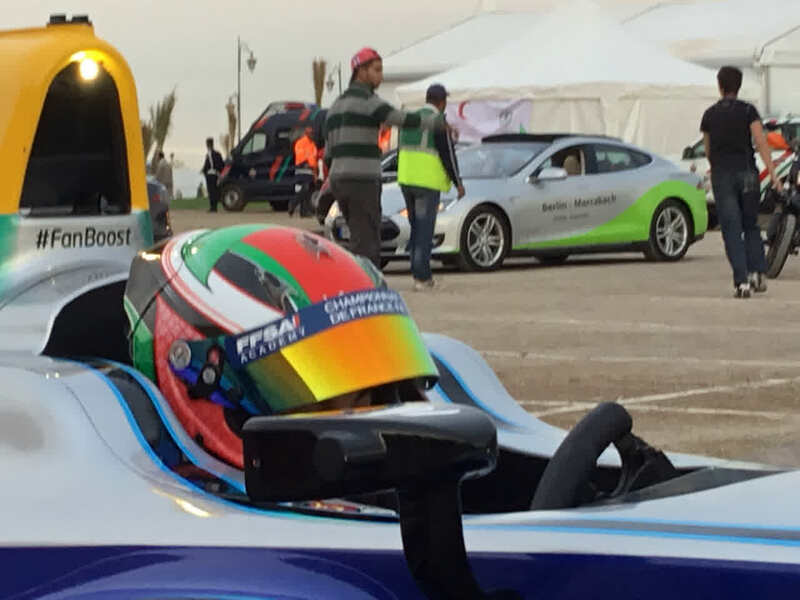 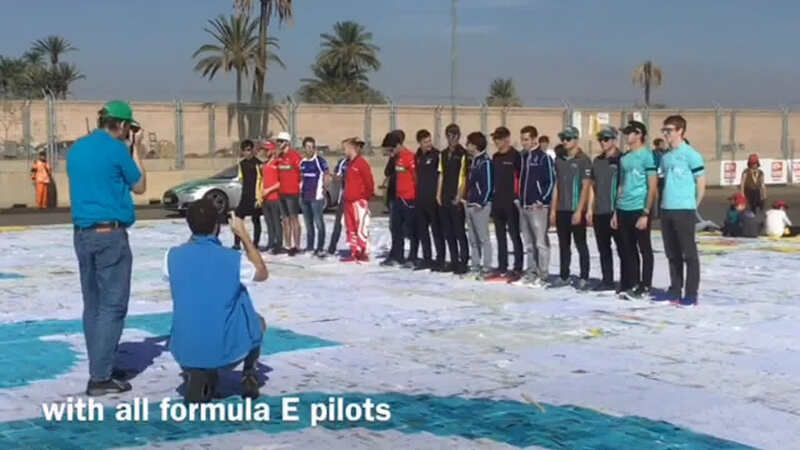 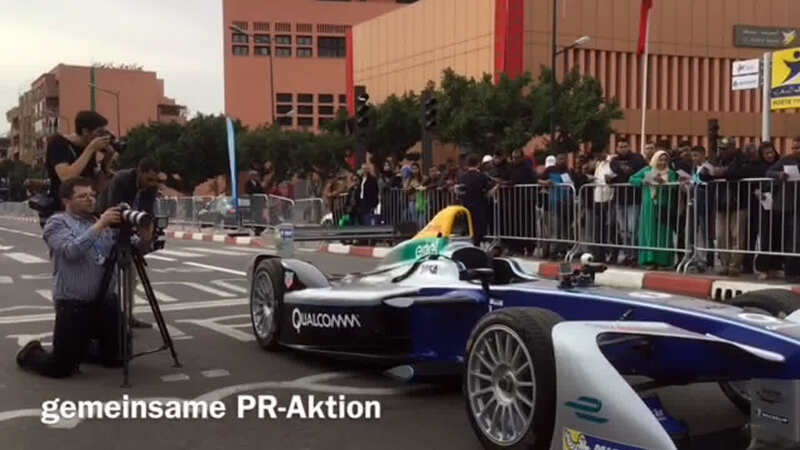 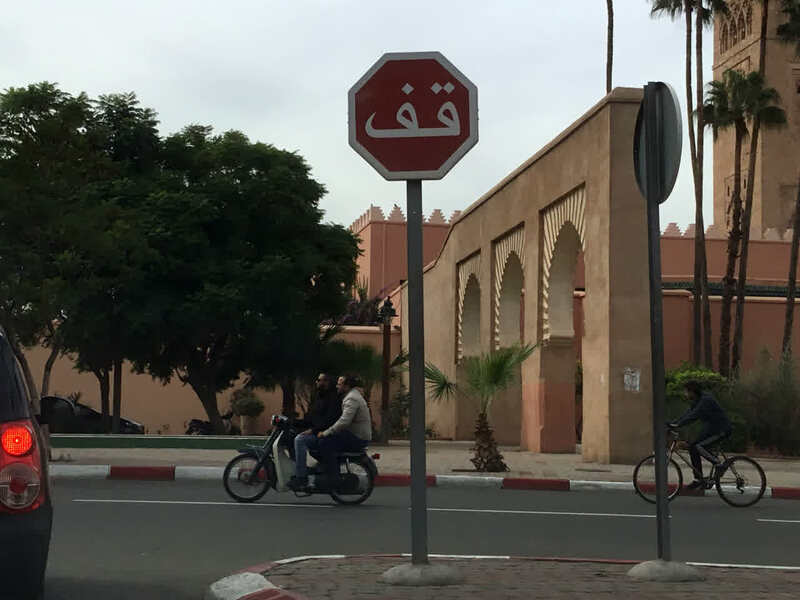 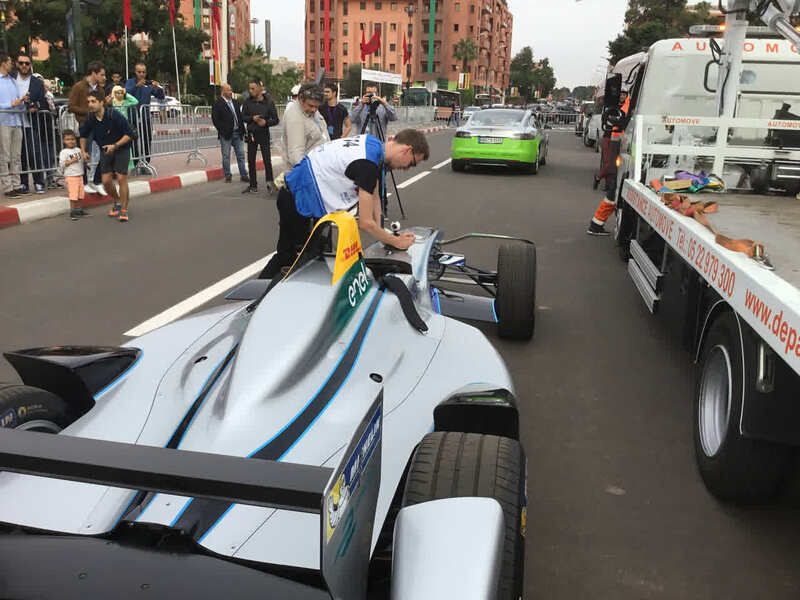 Thousand thanks to: Louis Palmer, Silvia Brutschin, Rafael de Mestre, Khalil Amar, Pedro Faria, Badr Ikken, Zakaria Naimi, Katwar Ben, Mohamed Bouhamidi as well as Margot and Jack from FIA Formula E.
The international meeting of electric vehicles in Marrakech contains a migration from Europe to Tangier. 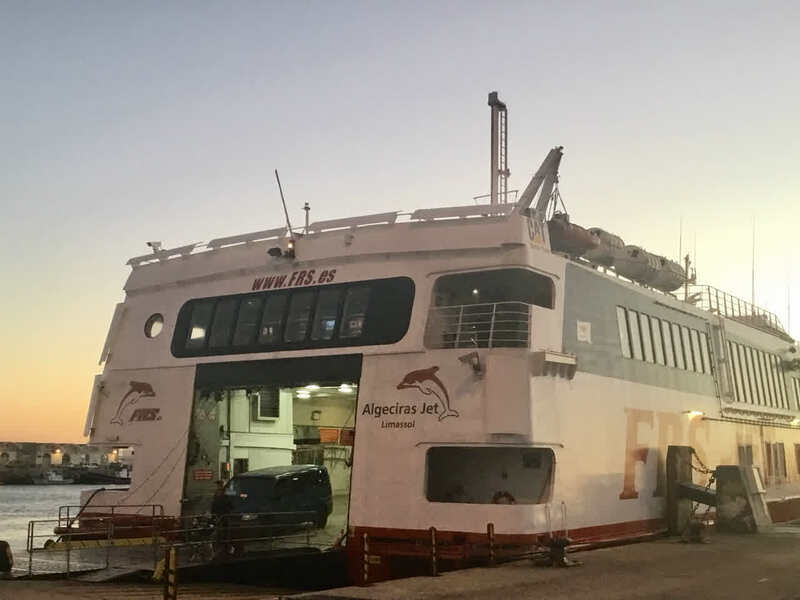 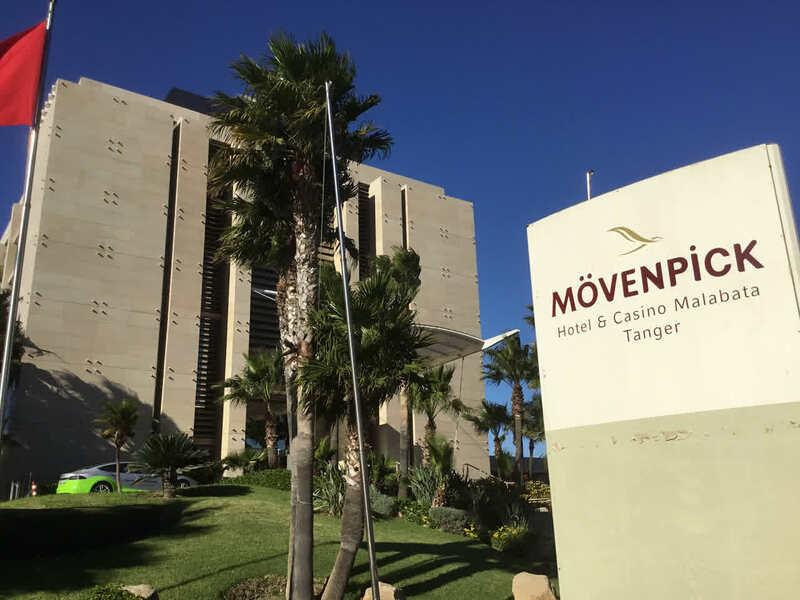 More information on Rive Maroc.